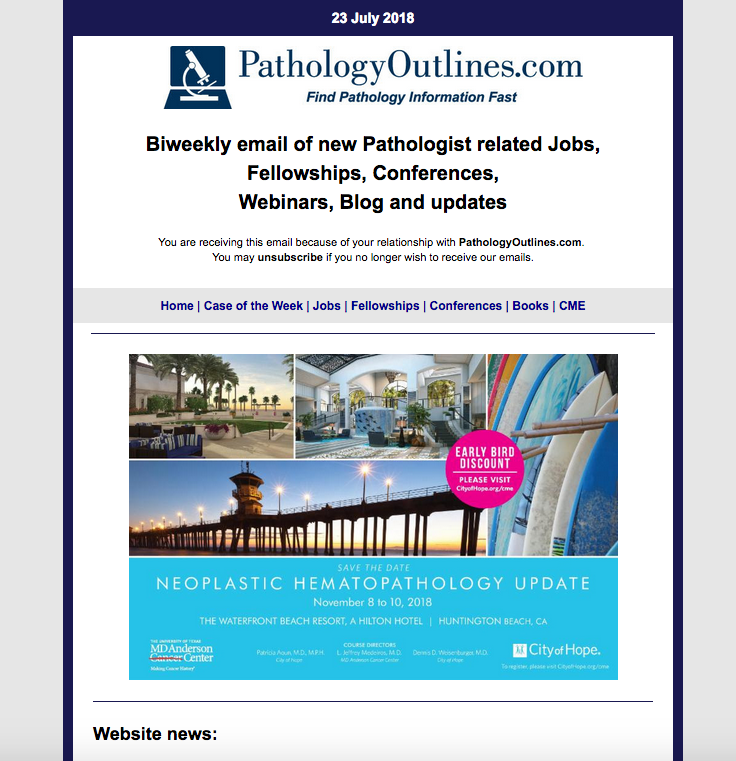 PathologyOutlines.com produces an email blast providing convenient links to recently posted pathology related Jobs, Fellowships, Conferences, blog entries and CME, which is sent out every 2 weeks to the 5,959 subscribers for this service. Advertising is placed at the beginning of the Email blast. The content for the advertising is supplied entirely by the advertiser. Cost: $1,000 per email blast. Specifications: artwork for the email blast must be in JPG, PNG or static GIF format. Recommended size is 1000 x 800 pixels, up to 250K. You can also send us your HTML code. The material should be sent at least one week before the scheduled date for the email for setup and to resolve any technical problems. To advertise or for more information please contact us at 248-646-0325 or PathOutAds@gmail.com.